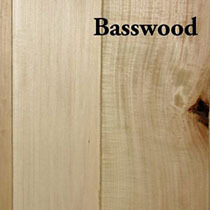 Basswood grows in Eastern Canada and the USA. This soft creamy white to pale pinkish brown wood is ideal for wood carving, food containers and pattern making. Basswood has even been used in making bee hives.